For anyone seeking political refuge in the Great White North, the timing couldn’t be better. The exchange rate between the U.S. and Canadian dollars makes Canadian markets a bargain for U.S. dollar holders. 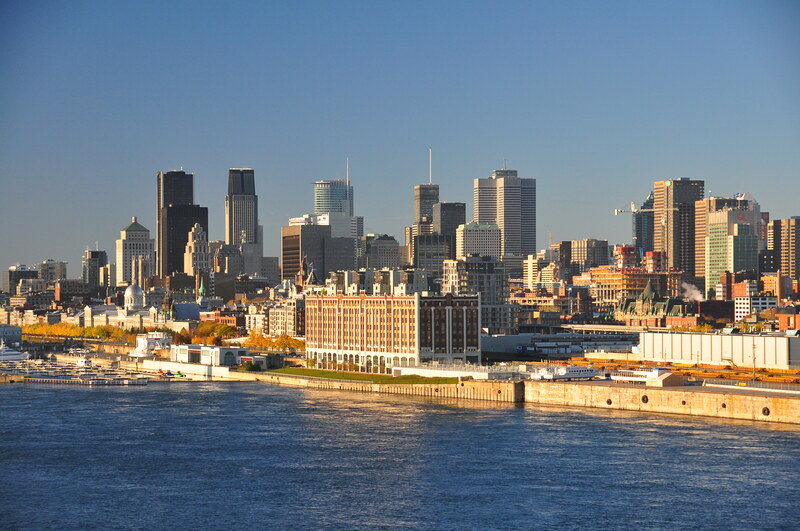 Among the various markets across Canada’s provinces and cities, the most unique and most promising is Montréal. The city’s Canadian, Québécois, American, and Indigenous cultures make it unlike any other city in the Americas. Old Montréal’s 17th- and 18th-century architecture accompanied by the French chatter on the streets echoes of Europe, while the throngs of university students from around the world remind one that this is a modern, multicultural city. Montréal brings Europe to North America at affordable prices. Prospective buyers may notice a worrisome trend in the Canadian market. For years now, ever since the disastrous crash in the U.S. housing market, analysts have been warning that a similar crash in Canada looms. Ignoring these warnings, the markets in Toronto and Vancouver continue to skyrocket, with annual increases reaching 20% and average prices nearing or surpassing CA$1 million. It’s no stretch to say that these markets have reached bubble status. Recent changes in federal regulations regarding mortgages have raised the bar for approval in an attempt to lessen the risk of a subprime mortgage crisis like that seen in the United States nearly a decade ago. Meanwhile, a 15% foreign-buyer tax in Vancouver appears to be cooling the market there and directing would-be buyers to other Canadian markets. While policymakers in those cities ponder taxes and regulations for foreign buyers, Montréal is gaining more attention. Montréal’s market has been on the rise for some time now, with home sales increasing in 18 of the past 19 months and annual price increases of about 5%. This is a healthy, sustainable growth rate, especially when compared to Vancouver’s rate last year of almost 20%. Data from the Canadian Real Estate Association shows that, at just over CA$350,000 (or only US$267,000), the average home price in Montréal is about one third of Vancouver’s and less than half of Toronto’s. In fact, affordability is the norm in this city. Analysis by MoneySense in early 2016 showed that roughly 90% of Montréal’s listings were priced below CA$500,000 (under US$382,000). Montréal’s boroughs (sectors) vary from working-class and affordable to opulent and expensive, and the connectivity of the city and the density of the urban layout mean that there’s a lot of overlap. A few of the high-demand areas to look at include Little Italy, Plateau Mont-Royal, the Golden Square Mile, McGill Ghetto, Old Montréal, the Gay Village, and Westmount; however, prospective buyers need not restrict themselves to any particular list of neighborhoods. A 65-square-meter (700-square-foot), one-bedroom, one-bathroom condo that could easily convert to a two-bedroom comes at an attractive price of CA$209,000. Located on a quiet, tree-lined street close to the Plateau Mont-Royal neighborhood, this renovated condo features hardwood floors and a brick exterior along with plenty of modern style and finishing. The price tag in dollar terms is under US$160,000. Another one-bedroom, one-bathroom condo is a 60-square-meter (645-square-foot) unit close to the historic port area in Old Montréal. The unit is full of character, with exposed interior brick, original hardwoods, as well as modern kitchen appliances, lighting, and bathroom fixtures. The excellent location would make this an appealing rental, whether long-term for residents or short-term for tourists. The asking price is affordable at only CA$259,000 (US$197,700). This duplex-style, two-floor condo totals four bedrooms, two bathrooms, and 145 square meters (1,560 square feet) and is located near the Golden Square Mile in the heart of downtown. Each unit has a separate exterior entrance, as well as an interior staircase connecting the two, and both are in superb condition. Both units together have rental potential of CA$2,200 per month, and the asking price is CA$419,000 (US$319,800). Located just minutes from the trendy Jean-Talon Market in the neighborhood of Villeray is this new, contemporary condo development, set to be delivered in autumn 2017. The project includes studio, one-, and two-bedroom condos, and townhouses from 40 to 90 square meters (430 to 970 square feet). Some of the units include private terraces and skylights, and the building also features a shared rooftop terrace. Prices start at CA$149,000 and go up to CA$344,000 (US$113,700 to US$262,500). The province of Quebec gets a bad reputation. Home to separatist political parties, the province nearly seceded in 1995. The vote was decided by a margin of barely 1%. Since that tense campaign, there has been little appetite for further separation attempts. Even the Parti Québécois, the provincial party rooted in separatist politics, has redefined its purpose to seek further autonomy within Canada rather than separating from the country entirely. I don’t see Quebec’s separation as an issue. While speaking French isn’t necessary to get by in Quebec, it sure does help. As the province’s official language, many jobs and educational opportunities rely on French fluency. For anyone who thinks this is some radical idea, ask yourself, is speaking English required for most jobs in the United States? Of course it is, just as speaking Spanish would be required in much of Argentina, or Portuguese in Brazil, and so on. Obviously, there are exceptions to this, and Montréal is as bilingual as it gets in Quebec, with plenty of U.S. students and expats making a go at it with varying levels of French abilities. One thing investment buyers should be aware of are the rent-control regulations in place in Montréal. These controls consider rent increases in relation to expense increases, and they allow a tenant to state their case in challenging increases they see as unfair gouging. While the controls and dispute process tends to favor tenants over landlords, it is not so strict as to be prohibitive to investments. To start with, rent controls don’t apply to short-term rentals, so if that’s your plan, you’ll be OK. Rent controls are intended for long-term renters who stay for several renewals of their contract; although Quebec law allows a new tenant to appeal the rent you’re charging if there’s been a significant increase between the new tenant and the previous tenant. Such appeals are settled by a third party (a government agency). If you plan to rent long-term, make sure you start at a rent that you’re happy with. This will save you from possibly having to justify a large increase. For anyone shopping for Canadian real estate in urban markets, red flags abound in Toronto and Vancouver, but not in Montréal, Canada’s last affordable big-city market. And while currency analysts expect the current exchange-rate advantage to continue for U.S. dollar holders, this isn’t a sure thing. Canada’s economy will heat up again, and if it happens sooner rather than later, expect the currencies to move closer to parity. Likewise, while markets have responded well so far to the result of the recent U.S. election, it has also brought about a great amount of uncertainty. Should any sudden shifts or shocks occur to the U.S. economy, say with a trade war with China or an arms race with Russia, investors could start seeing the Canadian dollar as a safer bet than its U.S. counterpart. Looking long-term, it’s not hard to make the case that Canada is already the safer, less risky investment option. For investors or buyers who want to make their move, now is the time and Montréal the place. Editor’s Note: Matt Chilliak hails from Saskatoon, Saskatchewan, and has an honors degree in political studies from the University of Saskatchewan, with minors in economics and Spanish. He also holds certification from Fine Art Bartending School. He has traveled throughout Latin America, to Mexico, the Dominican Republic, Cuba, Colombia, and Panama. You are always speaking about the ability to buy more for less now that the dollar is strong. From what I have seen in Mexico, they just adjust the price so that the dollar buys the same amount that it did a year ago, or two years ago. I imagine this is happening in other areas as well. This is indeed true at times, in markets dominated by Americans or Canadians. And, as Janet says, I have seen this in other countries as well. Here in Mexico, properties are generally priced in one of three ways in markets with a high rate of Americans. Some are in dollars… others are in “adjusted pesos,” which means they’re listed in pesos to make you think they’re a bargain, but they rise roughly with the exchange rate… others are simply listed in pesos, usually by Mexican sellers. The final category is where you’ll often see the currency advantage. In Mexican markets with few Americans (non-tourist, non-expat cities), the exchange-rate advantage remains strong. In Colombia, properties are always listed in pesos, but in American-saturated markets, sellers sometimes raise prices knowing that the dollar-buyer has a strong advantage… and hoping to get a cut of that advantage. In Europe, the dollar has relatively little influence on property prices, so the dollar advantage is usually a real savings. So to get a strong currency advantage, you need to know your market, as well as who the sellers and fellow buyers are. Your Medellín attorney appears to be swamped. Do you have another attorney to recommend? As a matter of fact, I just finished a property transaction with a firm that I hadn’t worked with before, Robledo and Higgs. I found them to be hard-working and professional, and both partners are English-speakers. And most importantly, they’re the only outfit I’ve found who knows how to transfer the property investment basis (as recorded by the central bank) from the seller to the buyer, allowing the buyer to pay outside of Colombia. This can save you over US$1,000 in transfer fees. As an aside, I had a bad experience with one lawyer in 2015, and it cost us thousands. On my next transaction, my buyer had to sack the hapless attorney in mid-transaction, and start over. So these guys are a welcome change. I’ve made in Panama and in Brazil. Is a lawyer necessary? Is an on-line will possible? Could the real estate groups who sold the investments make me a will, or assist with it? I think it’s critical that you have a will in any country where the property is held in your name. I would always use a lawyer for your first will in that country, but I’ll typically make any future changes myself in countries where I speak the language. But regardless of who actually writes the will, you’ll generally need to have it recorded by an in-country notary. The process, of course, differs from one country to the next. It’s possible that an agent or developer could help with this, although I’ve never heard of that service being offered. Also, there may be online ways to write the will in the appropriate language, but I’d use a local attorney anyway to make sure it passes local muster. If the property is held by an entity (rather than in your own name), then a local will may not be necessary. You’d handle succession within the structure of your LLC, corporation, trust, etc. Follow the link to read more on inheritance rules abroad. Have a question? You can write to Lee (or Matt) here. Matt Chilliak is a political organizer from Saskatoon, Canada, currently based in Massachusetts. He holds an honors degree in political studies with minors in economics and Spanish from the University of Saskatchewan. Matt is a former editor for Live and Invest Overseas and continues to cover real estate and investment opportunities from around the world for its various publications.